Economy minister in China: Georgian wine is "the most experienced ambassador"
30.07.2016 (Hvino News). 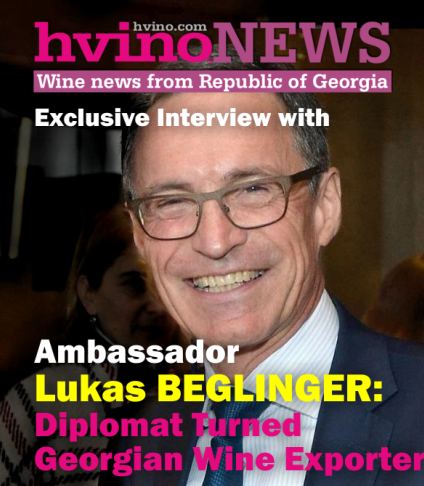 "I would like to celebrate to Georgia’s most experienced and oldest Ambassador and the best negotiator – Georgian wine, - said Dimitri Kumsishvili, Georgia’s economy minister and first vice PM at opening ceremony in China. 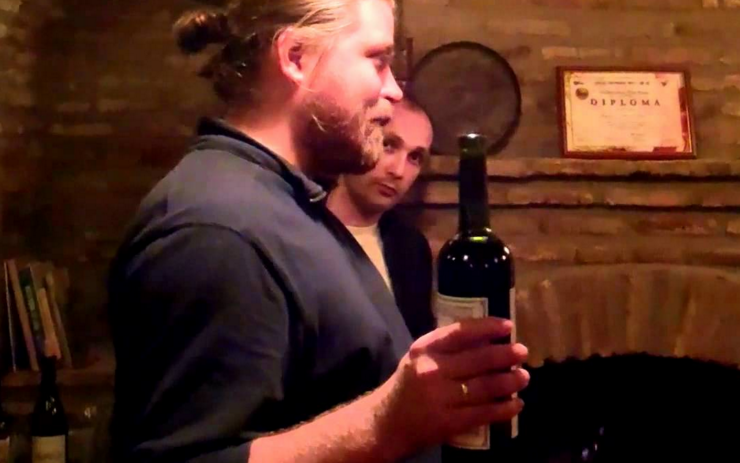 "A Georgian Wine House opened in Nanchang where our 8,000-year-old Ambassador started working. 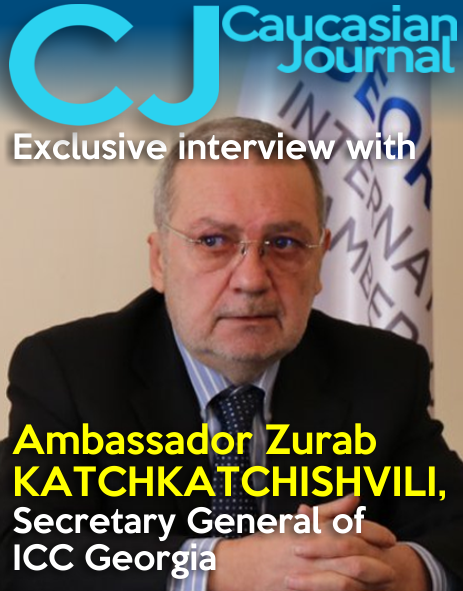 Georgian Wine will be very successful in his diplomatic job,”-, said the economy minister. 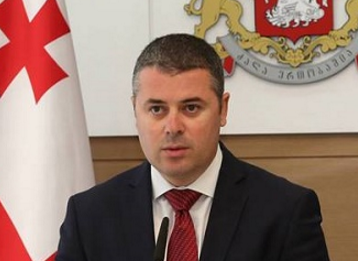 Dimitri Kumsishvili has added that Georgia is interested in deepening political, economic and cultural relationships with People’s Republic of China. According to him, there were up to forty wine houses in different Chinese provinces, and the number may be doubled till the end of the year. 27.07.2016. 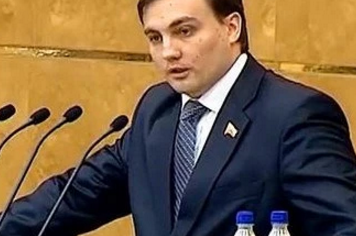 Following the announcement that Georgia had supported the extension of EU sanctions against the Crimea and Sevastopol on July 20, a member of the Foreign Affairs Committee in the State Duma of the Russian Federation, Yan Zelinsky, spoke of the necessity to introduce a ban on imports of Georgian wine and mineral water to Russia (read more: Russian deputies demand for new Georgian wine embargo; Abashidze is skeptical). However, both the Georgian and Russian sides later refuted this statement, highlighting that the countries remain important trade partners. After a Russian media outlet reported Zelensky’s statement, the Head of the Foreign Affairs Committee in the State Duma, Aleksey Pushkov, also said that Russia does not consider it necessary to respond to the decision of Georgia and other countries with regards the extension of sanctions. 22.07.2016 (Hvino News). Russia’s State Duma has recommended the government to ban import of wine and mineral water from Georgia. Ian Zelinsky of Duma’s foreign relations committee talked about need to ‘take measures’ against Georgia and other countries (Montenegro, Lichtenstein, Norway, Albania and Ukraine) for joining the European Union’s economic sanctions against Russia. The EU decided recently to extend its sanctions until June 23, 2017, and onn July 20 Georgia and five other countries followed suit. On 23 June 2014, the Council of the European Union adopted Decision 2014/386/CFSP concerning restrictions on goods originating in Crimea or Sevastopol in response to the illegal annexation of Crimea and Sevastopol and Georgia joined this decision in the same year. 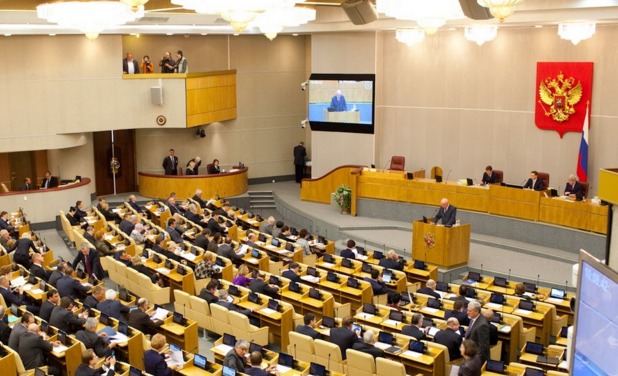 The sanctions ban import of goods from Crimea, prohibits investing in the island and bans tourism services there. Mr. Zelinsky, who represents the far-right Liberal Democratic Party, said Russia can easily do without Georgian wine and mineral water. “We have to develop Crimea, where unlike Georgian wine, we can produce wine without any chemical impurities,” he said. 19.07.2016 (Hvino News). 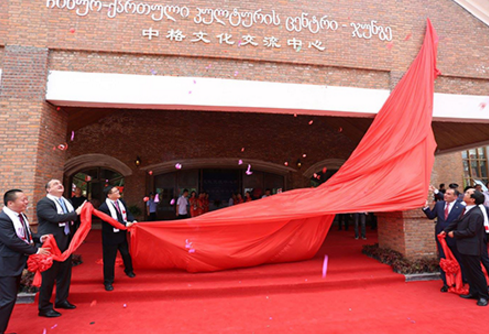 In Yiwu (Zhejiang province, China) two Georgian Wine Houses were opened. 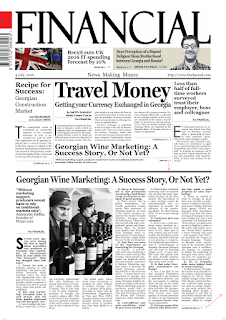 Here the consumer will have opportunity not only to taste Georgian wine, but also learn Georgian culture and history. Georgian National Wine Agency's representative took part in the opening ceremony. 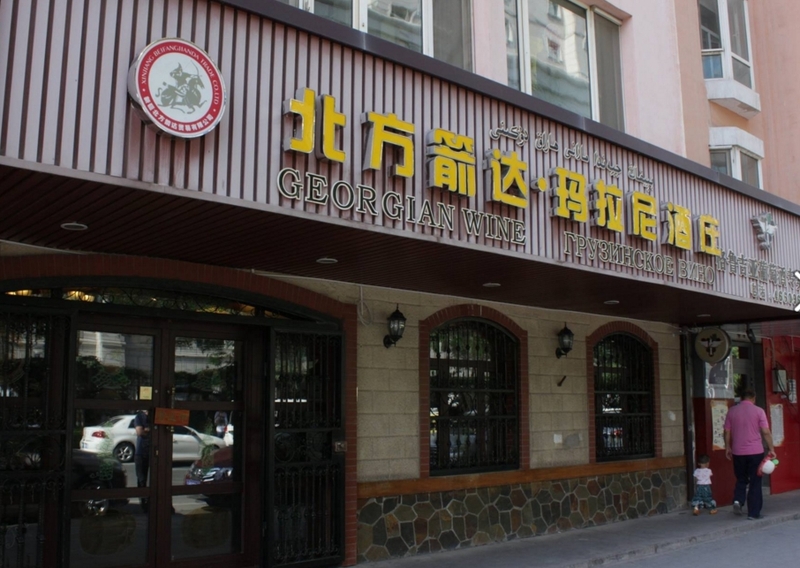 Georgian Wine House is a Georgian wine shop chain created jointly by China's Suolun company and Georgia's Tbilinvest Group, which is very successful in Zhejiang and Xinjiang provinces. 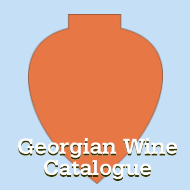 8 Georgian Wine Houses have been opened during the last 8 months. Suolun's management commented that Georgian Wine House became very popular in China, and growth of the number of the shops will help to raise awareness of Georgian wine in China. 17.07.2016. Matsubaya, a retail and wholesale firm from the town of Namie near the crippled Fukushima No. 1 nuclear power plant, is trying to revitalize businesses that were based in the district, using Georgian wine. 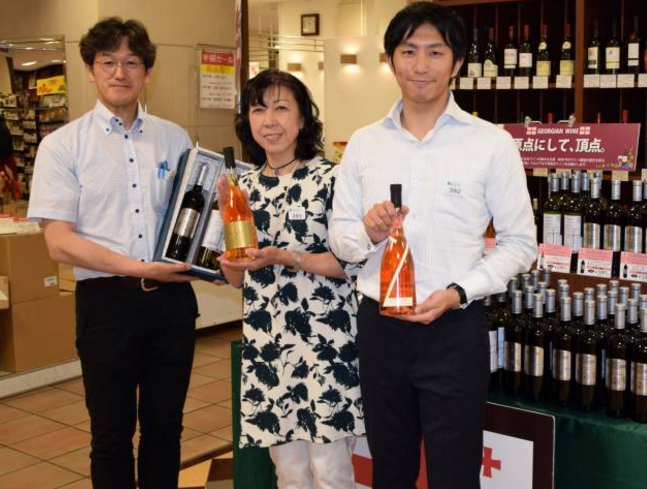 The firm, which evacuated to Tamura in central Fukushima Prefecture, is cooperating with H&N Wine Japan, a Tokyo-based importer that has a vineyard in Georgia, to establish a distribution channel for Georgian wine in the region hit by the 2011 earthquake, tsunami and nuclear disaster. Georgia, a country in the South Caucasus region of Eurasia, is widely believed to be where wine production originally began some 8,000 years ago. In the ancient Georgian traditional wine-making method, high-quality grapes with sugar content of 26 degrees Brix or more are fermented and stored in clay amphora-like vessels called Qvevri buried in the ground up to their necks. Georgian wine has been attracting the attention of wine lovers worldwide after the centuries-old technique was added to UNESCO’s Intangible Cultural Heritage list in 2013. Namie is within the radioactive hot zone and no one is allowed to reside anywhere in town, but the evacuation order is expected to be lifted next March. Matsubaya and H&N Wine Japan hope to provide restaurants and retailers who fled with Georgian wine to help revive their businesses. 15.07.2016. 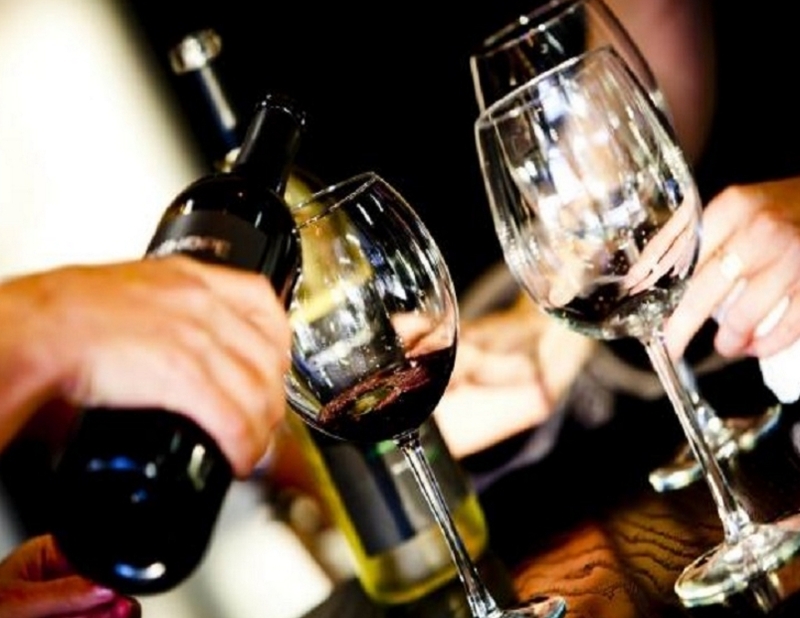 With Georgian government approval, subsidizing will be implemented in the range of vintage 2016. 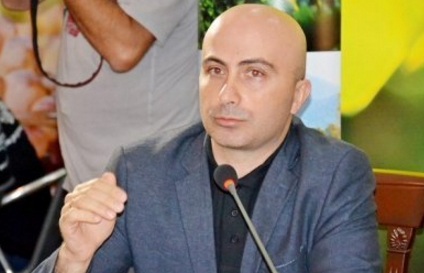 As minister of agriculture Otar Danelia mentioned at the press-conference held in the government administration, simultaneously with wine export growth, wine realization price decrease is fixed on international market. Accordingly, having regard to the interest of viticulturist peasants, Georgian government made decision to subsidize vintage 2016. 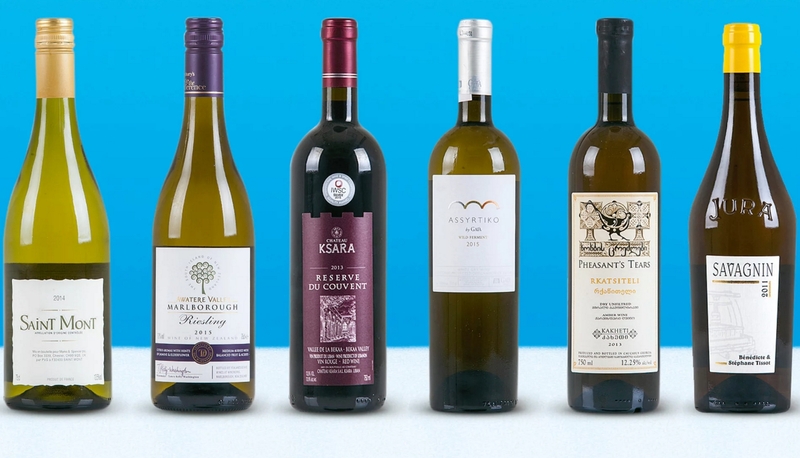 “In the range of vintage 2016, subsidizing was fixed by the state in the fallowing way: 1 kg Rkatsiteli and Kakhetian Mtsvane – 0.45 GEL, 1 kg Saperavi – 0.20 GEL, 1 kg Aleksandrouli and Mujuretuli – 2 GEL. 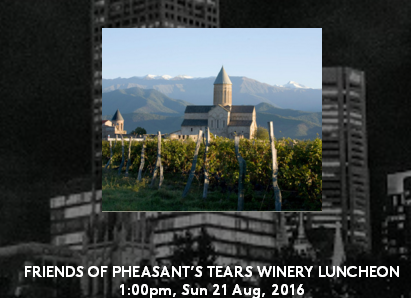 In the range of vintage 2016, over 100 wineries will obtain grapes. 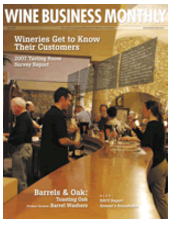 Like the last year, subsidy recipients will be viticulturists, not wineries. The main advantages of this principle is, that the peasant takes the fee in two weeks period in bank only on bases of the identity card, without delay. With the state promotion, viticulturist peasants/farmers will not have grapes left unsold. 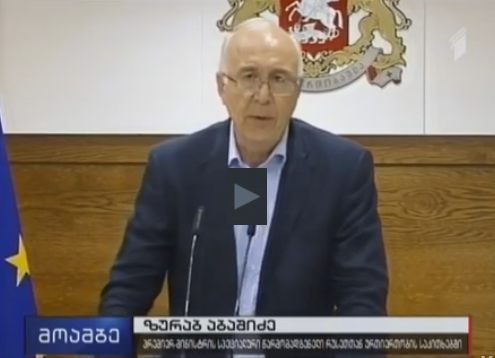 Predicted harvest amount of 2016 is 180 thousand tones”, - mentioned Otar Danelia. As the Minister of Agriculture states, in a long-term perspective, viticulture and winery field will take an important place in the economic progress of the state. It will not have need to be subsidized by the state. 13.07.2016. In the first half of 2016 Georgia exported 19.8 million bottles of wine to 40 countries, up 44% compared to the same period of 2015. In the reporting period, the exports value made up 46.6 million USD, up 18% year on year. Along with wine exports growth, wine sales prices are also decreasing. The averaged exports price of one wine bottle is lower by 0.78 USD (-25%) as compared to the average price of 2014. The average export price of one brandy bottle has also decreased by 27% (-0.87 USD). In 2012 the selling price of one wine bottle (0.75 liter) was 3.07. The price was 3.03 USD in 2014, 2.72 USD in 2015 and 2.35 USD in the first half of 2016. The same downturn tendency is recorded on prices of brandy spirits and brandy prices. Brandy spirits: 2012 – 5.91 USD, 2013 – 3.88 USD, 2014 – 3.18 USD, 2015 -2.98 USD and January-June 2016 – 2.71 USD; Brandy: 2012 – 3.22 USD, 2013 – 3.02 USD, 2014 – 3.17 USD, 2015 -2.56 USD and January-June 2016 – 2.29 USD. In 2012-2015 the average wine price declined by 0.65 USD, brandy spirits’ average price decreased by 1.32 USD and the brandy average price climbed down by 0.72 USD. 12.07.2016 (Hvino News). Wine lovers in China, one of the largest wine export markets of Georgia, got a taste of Georgian wine at several events this week. 12.07.2016 (Hvino News). Georgian wine and Chinese cuisine evening was organized in Urumqi, China's Xinjiang province, by Georgian wine importer Beipangjieda, as reports National Wine Agency. At the event held in Yema Group center, representatives of company accentuated the perfect match of Saperavi with one of the most popular dish in China, “Meiji moku jiniupe” and “Beijing Duck”. The event was attended by the head of National Wine Agency, Giorgi Samanishvili, and representatives of Xinjiang media and business. 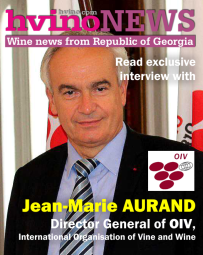 “It is very important to introduce and popularize Georgian wine in the province with population of 23 million people. Georgian wine is better known in Xinjiang province, then in other provinces, more wine is sold. Here are Georgian wine restaurants, shops... Wines of over 10 Georgian companies are sold here. So, Xinjiang population has choice to taste fine Georgian wine” – mentioned Giorgi Samanishvili. 08.07.2016 (Hvino News). 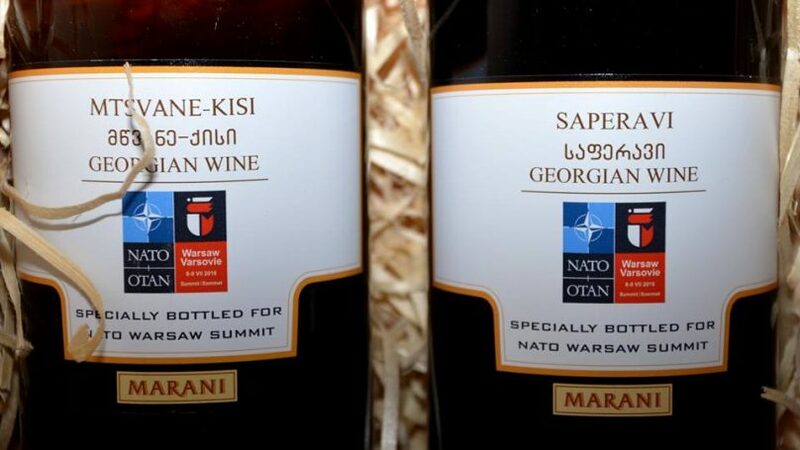 Specially-bottled Georgian wine will be served to the participants of NATO Summit in Warsaw. The NATO Summit opens today in the capital of Poland. Georgian wine will be handed over as gifts to the foreign ministers of the Member States of the Alliance taking part in the NATO-Georgia Commission meeting. Polish Defense Ministry will also treat its guests with Georgian wine during special dinner for defence ministers during the Summit. 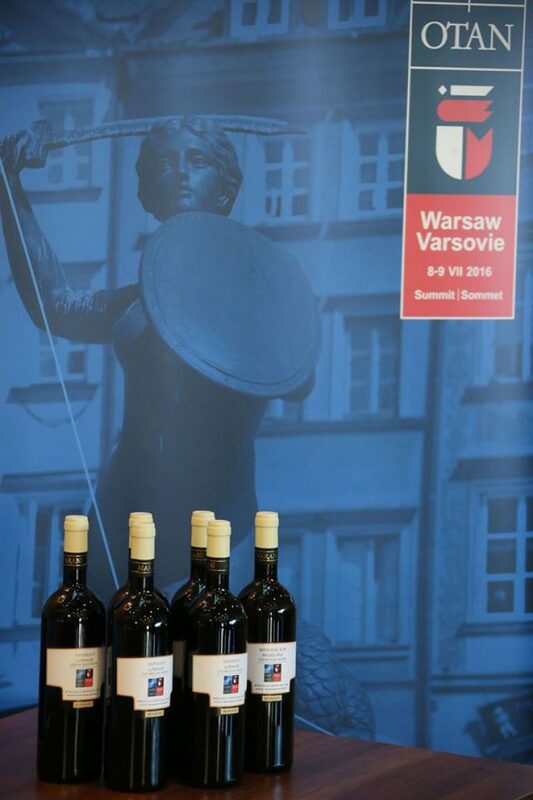 The wine, produced by Telavi Wine Cellar (brand name Marani), has special labels featuring the NATO Summit logo and an indication that the wine was made exclusively for the Warsaw Summit (see photo). For the Summit, Marani has bottled red and white wines - Saperavi and Mtsvane-Kisi. Georgian Foreign Ministry has announced the wine for NATO Summit was produced at Ministry's initiative. Over 50 official delegations will participate in the Summit, including 28 NATO allies, and representatives from other countries and international organizations. About 2,500 official delegates and 2,000 media representatives are expected to attend the Summit. A few days prior to NATO summit, during official visit to Georgia, US Secretary of State John Kerry praised Georgian wine and food saying "Since I tasted khachapuri and brilliant wine here I am surprised why I have not visited Georgia so far". 07.07.2016. Tbilvino, one of the leading producers of high quality Georgian wine, continues to invest in cultivating new vineyards and developing Georgia’s traditional qvevri winemaking method. 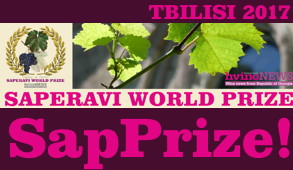 Furthermore, Tbilvino will introduce two new wines - Kisi Special Reserve and Qvevri Kisi. This year Tbilvino plans to enjoy 15 percent growth in sales and 10 percent growth on export markets. “The Kisi Special Reserve will come from the 100 percent natural Kisi wine variety and will be introduced as a limited edition. 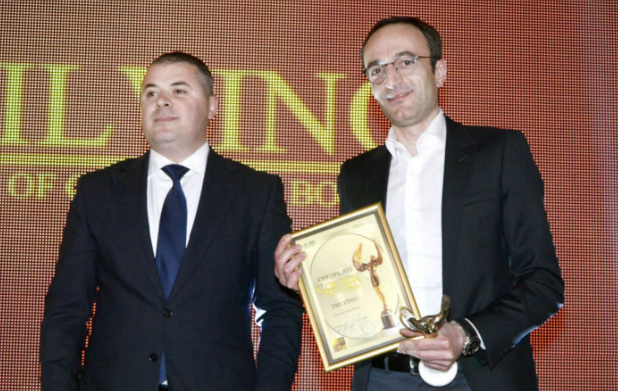 As for the Qvevri Kisi, this will be a premium wine which will be made in qvevri, a large, ancient Georgian winemaking vessel,” said Giorgi Margvelashvili, president of Tbilvino. Meanwhile, Tbilvino will offer three varieties of chacha, a strong spirit similar to vodka or brandy which some people refer to as vine vodka, grape vodka, Georgian vodka or Georgian grappa. “Producing chacha is a new and interesting direction for us which we started in 2015. This year we can already offer three varieties of chacha. These are: Chacha Rkatsiteli, Chacha Saperavi and Chacha Saperavi aged in oak. 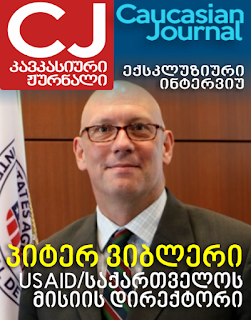 In the future we also plan to produce premium segment Chacha,” Margvelashvili said. 05.07.2016. (Hvino News). 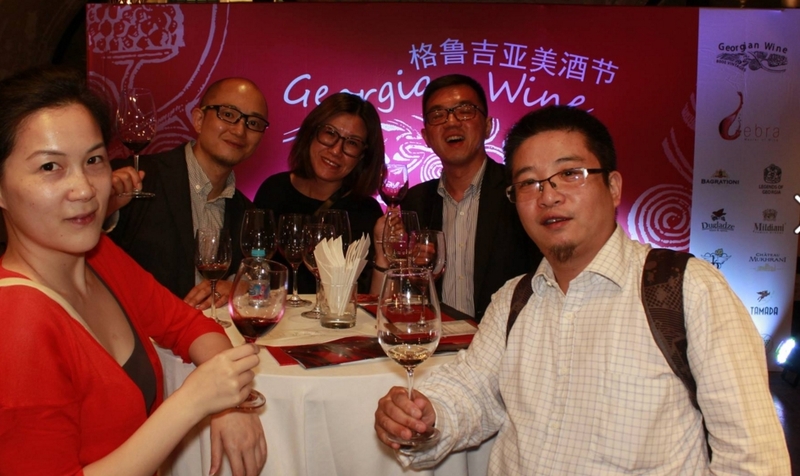 Georgian wine festival was held in Hong Kong and Shanghai, where brand names of 9 Georgian wine producers were introduced. 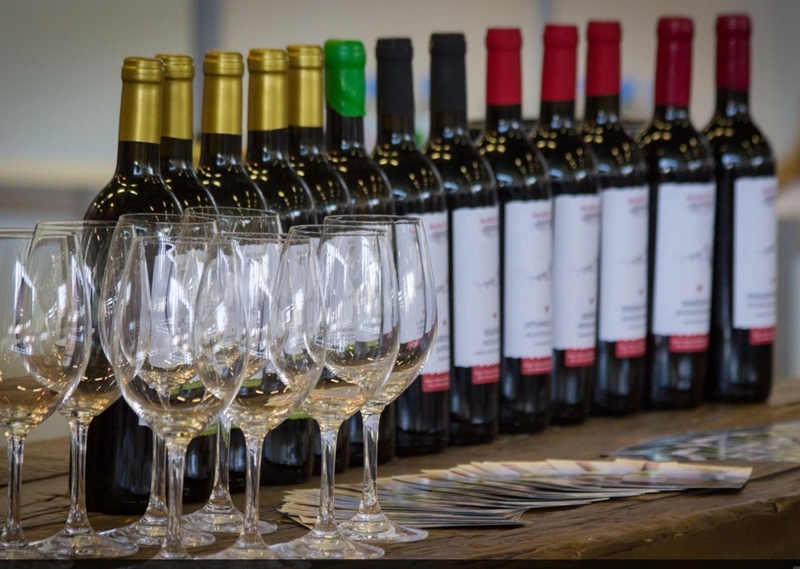 Companies introduced at the festival are: Bagrationi, Chateau Mukhrani, Dugladze Wines and Spirits, GWS, KTW, Kakhetian Wine Cellar, Winery Khareba, Mildiani, Usakhelauri Vineyeards. Georgian wine masterclasses and tasting was lead by Debra Meiburg, MW. The festival was attended by the head of National Wine Agency, Giorgi Samanishvili and representatives of the Agency. 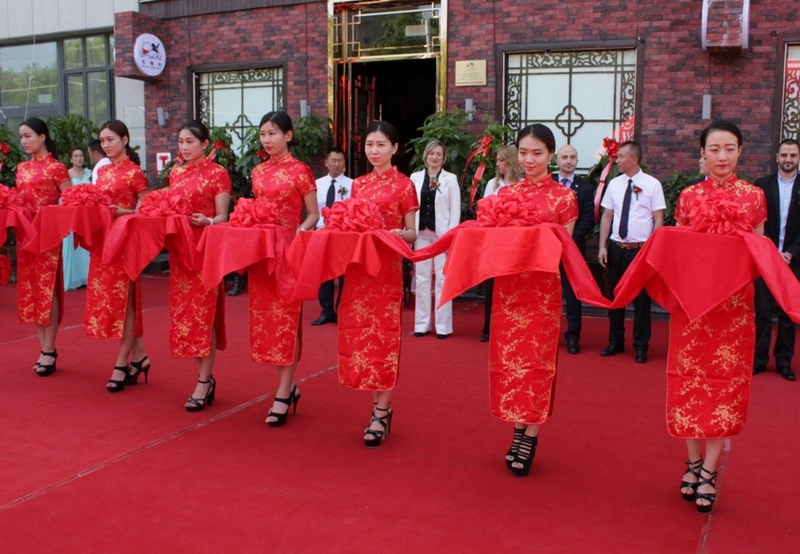 Festival was hosted by Shanghai's “Roosevelt House” and Hong-Kong's “Cordis” hotel . The event was organized by National Wine Agency and international marketing company “Meiburg Wine Media”. The head of National Wine Agency mentioned, that Georgian wine consumption on China market has been progressing since 2014. “Progressing tendency in China started two years ago and is still sustained up today. 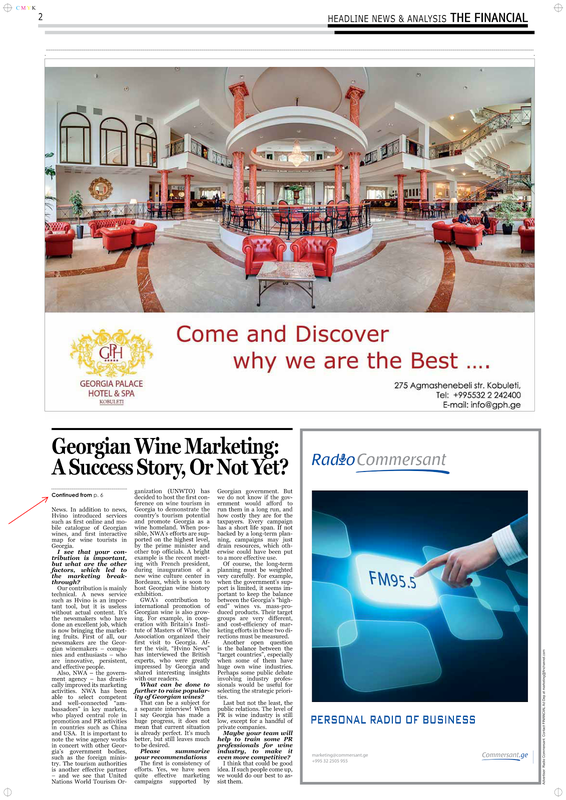 Georgian wine publicity is raising as a result of important performed work. The whole wine industry is involved in Georgian wine promotion on China market including National Wine Agency and wine producing companies. Relationship with China on governmental level is progressing, that has significant influence on wine sales”-mentioned Giorgi Samanishvili. 04.07.2016. Today The Financial published the interview of Alexander Kaffka, Hvino's founder, which is focused on Georgian wine marketing. 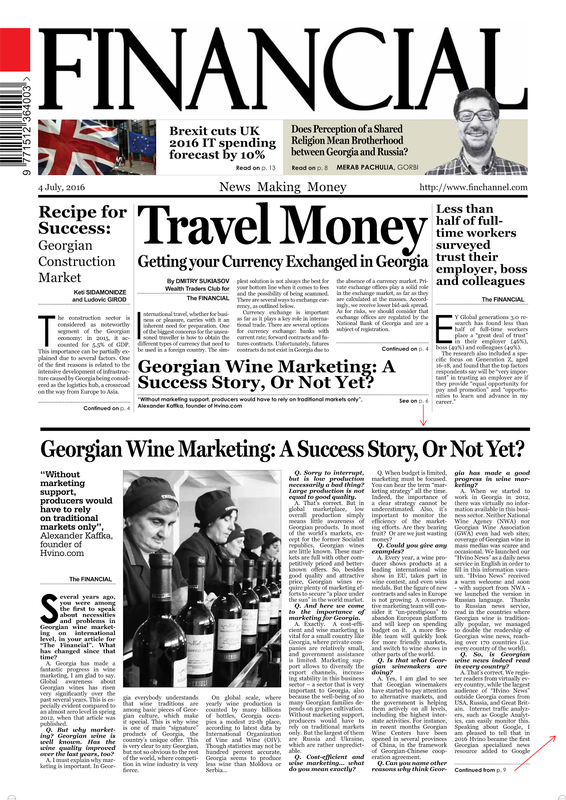 Several years ago, you were among the first to speak about necessities and problems in Georgian wine marketing on international level, in your article for “The Financial”. What has changed since that time? On global scale, where yearly wine production is counted by many billions of bottles, Georgia occupies a modest 22-th place, according to latest data by International Organization of Vine and Wine (OIV). 04.07.2016. Imagine arriving in a foreign land where the houses are covered in grapevines and wine tasting takes place on the sidewalks. The architecture is filled with images of vines and grapes, and ancient fortresses and monasteries dot the hillsides. Wine is made in qvevri pots buried deep in the earth, and each spring “the baby wine is born.” Even the traditional songs, sung in polychromic voices, praise the vine. To a wine lover, it may feel like you’ve come home. Many people who live in the Republic of Georgia will agree with you, because they believe that this is the birthplace of wine. Though the neighboring countries of Turkey, Armenia and Iran may argue this, the fact remains that Georgia has proof in their National Museum in the form of ancient grape pips and qvevri dating from over 8,000 years ago. But the Georgian wine industry is fighting a more important battle than arguing with neighboring countries about who has the oldest claim to winemaking. They are fighting to save their ancient grape varietals, many of which were nearly destroyed or lost during the Soviet era from 1922 to 1991. 02.07.2016. A new Georgian wine house in China’s Xinjiang province in western Urumqi is opening its doors and inviting guests to enjoy a special Chinese meal matched with Georgian wine. Spread over 600 sq m territory, the Georgian wine house also promotes Georgian culture by showcasing national dances and folk-lore to the guests. The facility opened yesterday in Urmuqi. "The Georgian wine house will help the native population to learn about and taste Georgian wine. Four more Georgian wine houses are planned to open in Urmuqi before the end of the year and over 12,000 bottles of Georgian wine will be warehoused in each of them,” said Giorgi Samanishvili of the Georgian National Wine Agency. Opening a Georgian wine house is Urmuqi was part of a joint project between Georia and China involving Chinese firm Suolun and Georgia’s Tbilinvest Group. 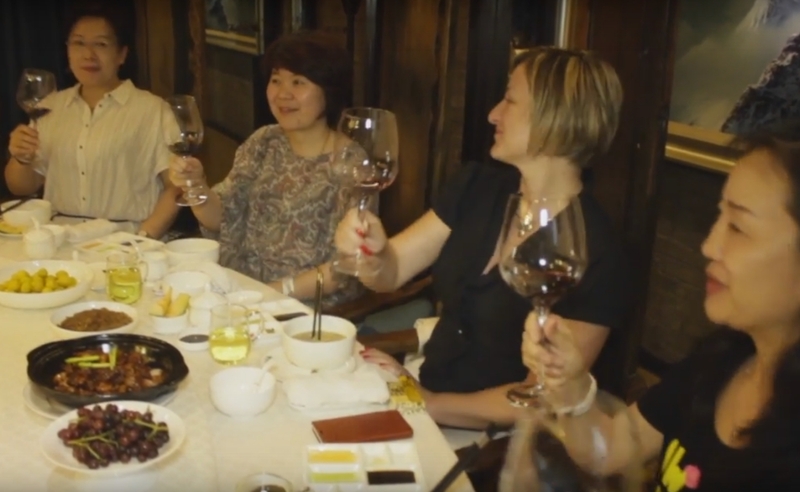 The project envisaged opening a number of Georgian wine houses all over China to raise awareness of Georgian wine among Chinese consumers. 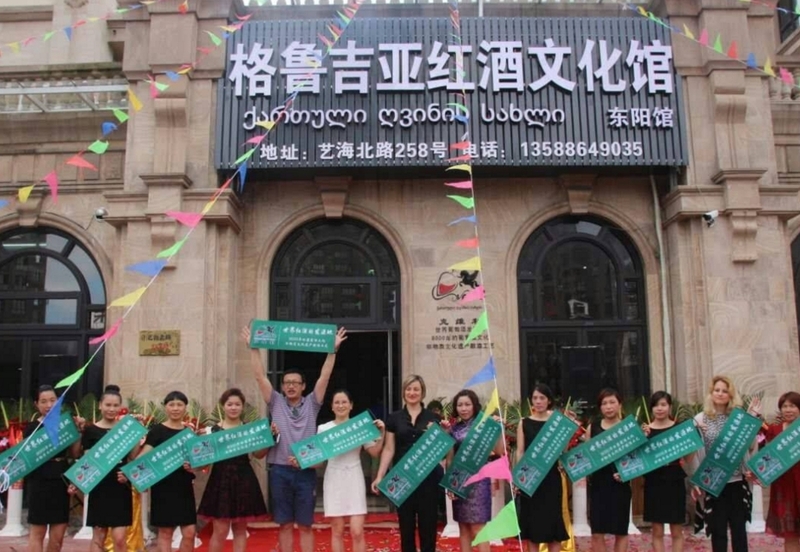 Suolun opened its first Georgian wine house 11 months ago in Zhejiang province and plans to open 80 more branches throughout the country this year. 01.07.2016. 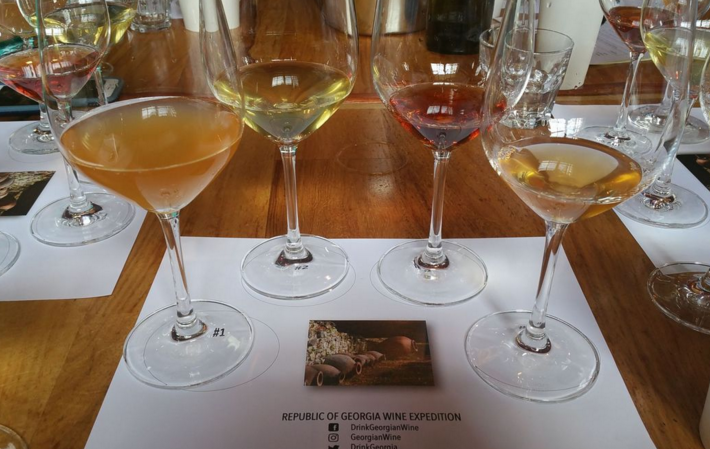 I sat down for the seminar ready to learn about and taste wines from the Republic of Georgia. It is a region that I knew very little about and was excited to begin the exploration into wine from what might be the oldest wine-making region on earth: Georgia has been making wine for 8,000 years.